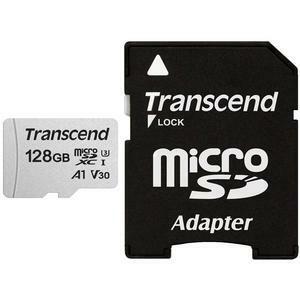 Transcend's microSDXC memory cards provide the performance and capacity necessary to harness the full power of your UHS-I compliant digital camera, camcorder, or smartphone. Now you can shoot faster, capture super-smooth digital video, retrieve small pieces of data from random locations and speed up app launch time. The Application Performance Class (A1) standard delivers minimum random read of 1,500 IOPS and random write of 500 IOPS, and sustained sequential speeds of at least 10MB/s. In addition to incredible transfer speeds, the card meets UHS Speed Class 3 (U3) and UHS Video Speed Class 30 (V30) standards, allowing for smooth, uninterrupted 4K and HD video capture, with read/write speeds of up to 95MB/s and 45MB/s respectively.